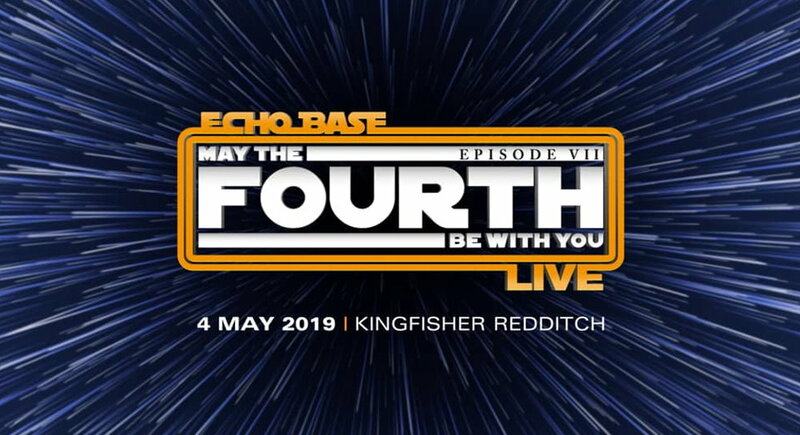 04may9:30 AM5:00 PMEcho Base LIVE: May 4th 2019Episode VIITill the event close! 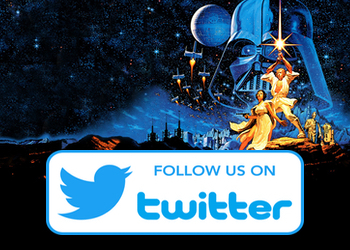 The BIGGEST Star Wars trading convention in Europe, offering an excellent range of vintage and modern collectable items from art and books to figures returns to the Kingfisher on Saturday 4th May 2019 …. May the 4th be with you! Last year in October, we had our BIGGEST attendance yet, with an incredible excess of 2,000 fans! 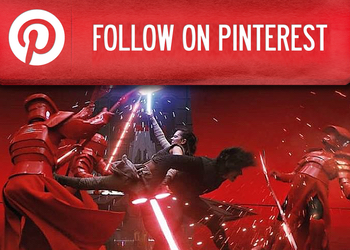 Can we break the record for Episode VII?! The event will be located opposite TK MAXX on Level 1. Save the date and we look forward to seeing you there! Mr John Mogridge – John is best known for playing a Death Star Gunner and a Stormtrooper in Star Wars: Episode VI – Return of the Jedi and a Stormtrooper, Snowtrooper and Hoth Rebel Pilot in Star Wars: Episode V – The Empire Strikes Back. Mr Trevor Butterfield – Trevor played lots of different roles in the Star Wars movies. He played an Imperial Officer and a Stormtrooper in The Empire Strikes Back, and Bossk (filling in for Alan Harris), Lieutenant Blount (Rebel Commando), a Stormtrooper, Calamari Warrior, Major Panno, and Giran in Return of the Jedi. Since Star Wars, he has pursued a career in visual effects. Mr Hugh Spight – Hugh was cast as a Gamorrean Guard (the one that marches Luke in) and General Neeralli. His career has enabled him to work on other classic films such as The Dark Crystal, The Great Muppet Caper, Chitty Chitty Bang Bang, and The Elephant Man to name but a few. In addition to this he has worked on British TV classics including Doctor Who as a Dalek and the Sci Fi series Tripods. Mr Simon J. Williamson – Simon regards Max Rebo as the main character he played in ROTJ, but he also had a lot of fun playing Gamorrean guards – Jubnuk (who gets eaten by the monstrous Rancor) and Gartogg, the main guard in Jabba’s palace. He also played a Mon Calamari officer and assisted Mike Quinn in his masterful puppeteering of Nein Numb. Mr Gerald Home – On the big screen he played Tessek – Squid Head and the Mon Calamari Officer in Star Wars: Episode VI – RETURN OF THE JEDI, and was a puppeteer on LITTLE SHOP OF HORRORS, operating Audrey 11, the man-eating plant. Other films include LONDON BOULEVARD, Hideo Nakata’s CHATROOM, and WHERE I BELONG. Please note that all guests listed are subject to change. Special guests will be available on the day for meet & greet opportunities. Prices may change at guests discretion. Selfies are also available and may incur a charge. To get your pass, click here. Select the number of passes you would like and in the notes section, please write the names to go on the passes. Passes can be collected on the day. Welcome to the Milton Keynes Brick Festival. This is a celebration of all things Lego. This will be a great day for families, collectors and adult builders alike with lots to see and do including a speed building competition, large scale displays, traders selling loose bricks, and a building area. There will be some out of this world displays at the event that you won’t want to miss! We will have an incredible large scale Forest Moon of Endor diorama from Star Wars, a large scale model White House that’s over 6-foot-long, and so many other displays! Over the day there will be lots to do in addition to the displays and browsing our fantastic traders. We will have a dedicated building area where you can channel your creativity. If you fancy a challenge you can take part in our speed building competition too. Milton Keynes Brick Festival will take place at Stantonbury Leisure Centre on 4 May 2019 from 10am – 5pm. Now into its 46th Year! This event is the continuation of a legacy that started back in the early seventies, and over the years have seen different names and organizers but its roots orginate from the original Collector’s Film Convention’s that were organized by Ed Mason. Now under new management, the future of the event is secured. The events are held at London’s Central Hall Westminster, with up to 6 events a year. The conventions presents dealers from all over the UK, Europe, US, Canada, Australia and South America that specializes in vintage and modern film memorabilia. Items cover the history of cinema from the silents to the present day blockbusters. The London Film Fair will appeal to avid film buffs, collectors, archivists researchers and students. A must for anyone with an interest in cinema and cult television! STILLS – VINTAGE POSTERS – MODERN POSTERS – PROGRAMMES – MAGAZINES – BOOKS – DVDS – SOUNDTRACKS – LOBBY CARDS – TOYS – AUTOGRAPHS – VIDEOS – POSTCARDS – ACTORS & DIRECTORS SIGNINGS. Star Wars Fan Fun Day is an event for Star Wars fans by Star Wars fans started in 2008, the first event was held at the Clayton Conference centre with one guest and over 400 attendees. Since then it has moved to Burnley Football Club and grown from strength to strength and now, in its 8th year, attracts huge numbers of fans and is one of the biggest and most recognised events in the north. It’s an event enjoyed by both die hard fans and families alike and has raised thousands of pounds for charity. charity tombola and other activities. 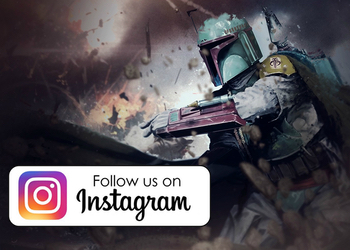 The Power of the Force Con takes place on an area of ​​nearly 8,000 square meters, spread over two levels, top star guests of the Star Wars films and two days of full program from morning to night. Consider yourself a bit of a geek? Then London Comic Mart; an established event that’s been running for over 30 years in one form or another, is definitely the place to go! The Royal National Hotel at Russell Square plays host to a great day out for adults and children alike. If you’re looking for rare comics or exciting new ones we have a huge range of items available from over 120 traders stalls. Comic Mart is not just about the comics however, as there are many other treasures to be found! We would recommend that you come along early – as the saying goes the early bird catches the worm, and this is exactly the same with the bargains at the event. Don’t forget you can also sell your items here too! Please contact us for more information. Participation and Demonstration Games – No need to know the rules or book in advance -JUST WALK UP AND ASK TO JOIN IN! Game Ambassadors in blue shirts – if you are new, on your own or just lost ask them and they will help. UK Games Expo IS open to the public. You can book in advance when tickets go on sale OR just turn up and pay on the day. UK Games Expo is held on 3 days in May or June. The next show is Friday 31st May to Sunday 2nd June 2019. We hope that many of you will join us for all three days. The core of the show – for most visitors will be in NEC Hall 1 and Hall 2. There are also activities near the lake – see Cook Street and Viking Village, and in the Hilton Hotel and in the Toute Suite and Piazza Rooms. There is also a full schedule of seminars, panels and workshops. General public opening 9.30 to 6pm. Gaming rooms at the Hilton Hotel open 10.00 until the midnight for Roleplaying sessions. Cook Street and Viking Village Open from 10.30 till mid evening. Viking Village Open from 10.30 till mid evening. General public opening 9.30 to 4pm. Gaming rooms at the Hilton Hotel open 10.00 until the 7pm for Roleplaying sessions. Viking Village Open from 10.30 till late afternoon. The show at the NEC Hilton Metropole and the NEC. Find out about Car parking here. Who runs UK Games Expo? It is organised by a bunch of guys who are keen – call it fanatical – games players who wanted to run the UK’s best games convention (Richard Denning and Pat Campbell who founded the event, Tony Hyams who with Richard is the director, John Dodd who is the power behind anything RPG and front of house manager, Keith Thomasson who looks after Trader Liaison, Chrisopher Finnegan handles logistics, Simon Ramsden-Fletcher runs volunteers, Millie Lavendelle is our Seminar Manager, Abbie Hyams is our Ambassador Manager, Jude Dodd runs the Hilton. Tessa is our Administrator. Kate Evans looks after marketting. UK Games Expo is now a very time consuming operation and all of us spend hundreds of hours on it. We also rely on a host of volunteers of which there are too many to name here. All are UNPAID volunteers who help run the event because they like it to succeed. Who comes to UK Games Expo? In 2018 we had 22000 unique visitors and almost 40,000 attendances over the weekend. This includes many gamers of all types but also a large number of families and children. It is open to all and NOT restricted. How do I find out more and how do I book up for it? This website has extensive information on all aspects of UK Games Expo. You can read up on where the convention is, about hotels and travel to it, about ticket prices (and you are able to book online or on the day) and all about the companies who attend and what games they will be bringing. There are details about the Family zone, Seminars, Authors and Artists and much more. Just get reading. 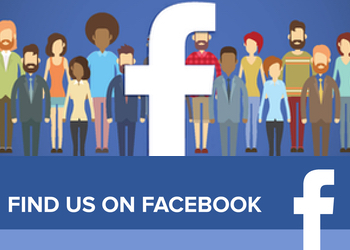 We recommend you follow on Twitter and Facebook as well as registering for the newsletter. You can JUST turn up and pay on the door OR you can book tickets for entry online from 1st December 2018. Events go live in the new year. The London Gaming Market is THE place to buy retro video-games, board games and merchandise all in one place. Brought to you by Replay Events and Showmasters, The London Gaming Market is the first event of its kind held in the heart of London. London Gaming Market is held every 4 months at the Royal National Hotel in Russell Square London. Why not beat the rush and take advantage of our early entry ticket for the opportunity to seek out amazing bargains, rare items and collectibles? The doors open at 11am, tickets available on the door. Events closes at 4pm. Early entry tickets cost £5, tickets after 12pm cost £2. Children under 14 can enter for free when accompanied by a paying adult. Tickets are only available on the door, no presale tickets available. Showmasters London Film & Comic Con will be taking over the whole of the Olympia London in July. London Film & Comic Con promises to bring you some of your favourite stars from TV, Film and Comics as well as a whole host of fun activities including photo shoots, panels, autograph sessions and hundreds of stalls full of TV and Film memorabilia to browse. *How do I get there? Film & Comic Con Glasgow (formally Collectormania Glasgow) will be taking over the Braehead Arena and promises to bring you some of your favourite stars from TV, Film and Comics as well as a whole host of fun activities including photo shoots, panels, autograph sessions and hundreds of stalls full of TV and Film memorabilia to browse. *Plus a £1 booking fee per ticket if purchased in advance. Look at national and international artists over the shoulder – it does not matter whether it is a comic artist icon or a newcomer: Comic, Manga, Anime. There is something for everyone here! A very personal signature of your favorite actor and also together on the photo? No problem at COMIC CON AMSTERDAM! Hollywood meets Amsterdam is the motto. On the big stage our Hollywood guests are ready for you to answer your questions. They talk about their current projects and everyone has the opportunity to ask a personal question. In the Comic Zone you will find publishers, talented artists, illustrators and writers from home and abroad! Are you looking for the nicest, coolest or most exclusive merchandise for yourself or as a gift for your friends or family? Then you are at the right address in the dealer area! What is a convention without cosplayers & costumes !? Nothing at all! Dress up as well, make sure you are there and make the COMIC CON AMSTERDAM an unforgettable experience! 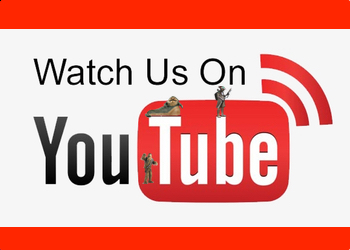 Whether it is recreated film scenes, film cars, photo points, a cool play area, lectures, demonstrations or workshops, entertainment and entertainment are more than well taken care of! So that you know where everything is within the COMIC CON, we have prepared a map for you that will easily find actors, comics, anime, cosplay, stages, traders and other areas. Map we hope to be able to announce about a week before the event. Film & Comic Con Cardiff is back at the Motorpoint Arena Cardiff. As with our previous Film & Comic Cons in Cardiff, we hope to bring some more of your favourite stars from TV, Film and Comics as well as a whole host of fun activities including photo shoots with the stars, panels, autograph sessions, Retro Video Gaming, Cosplay Masquerade and hundreds of stalls full of TV and Film Memorabilia for you to browse. Showmasters Film & Comic Con Exeter will be taking over the Westpoint Centre. Film & Comic Con Exeter promises to bring you some of your favourite stars from TV, Film and Comics as well as a whole host of fun activities including photo shoots, panels, autograph sessions and hundreds of stalls full of TV and Film memorabilia to browse. SATURDAY: Priority Entry Tickets: 09:00-18:00 General Entry Tickets: 11:00-18:00 Last entry at 17:00 & last re-entry 17:30. SUNDAY: Priority Entry Tickets: 10:00-17:00 General Entry Tickets: 11:00-17:00 Last entry at 16:00 & last re-entry 16:30. Join us for an exciting new event for the South Coast! Coastal Comic Con is a community driven celebration of pop culture, coming to Bournemouth in 2019. From comics to cosplay, gaming, film and television, there’s something for everyone! Join us at the Royal Bath Hotel on 28th September for a fantastic, fun-filled day that the whole family can enjoy. *When does the MCM Birmingham Comic Con take place? MCM Birmingham Comic Con takes place in March and November each year. *What time does MCM Birmingham Comic Con open and close? With the first GERMAN COMIC CON, we wrote history in December 2015 and turned Westfalenhallen Dortmund into an overwhelming fan party at the first Comic Con in Germany in the style of a San Diego Comic-Con or New York Comic Con! Empire Con, the ultimate event for Star Wars fans and collectors is coming to LA on 6-8 December 2019! 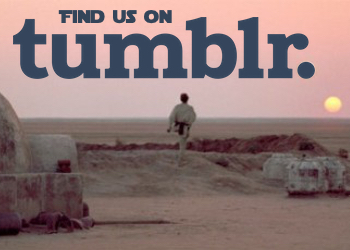 Join us for this 3 day convention at the Marriott LAX to celebrate all that is Star Wars. Meet the stars, see props, costumes and much much more! Friday: Registration from 8am. Event open 10am – 6pm – Party till late. Saturday: Registration from 8am. Event open 9am to 6pm – Party till late. Sunday: Registration from 8am. Event open 10am to 6pm – Party till late. 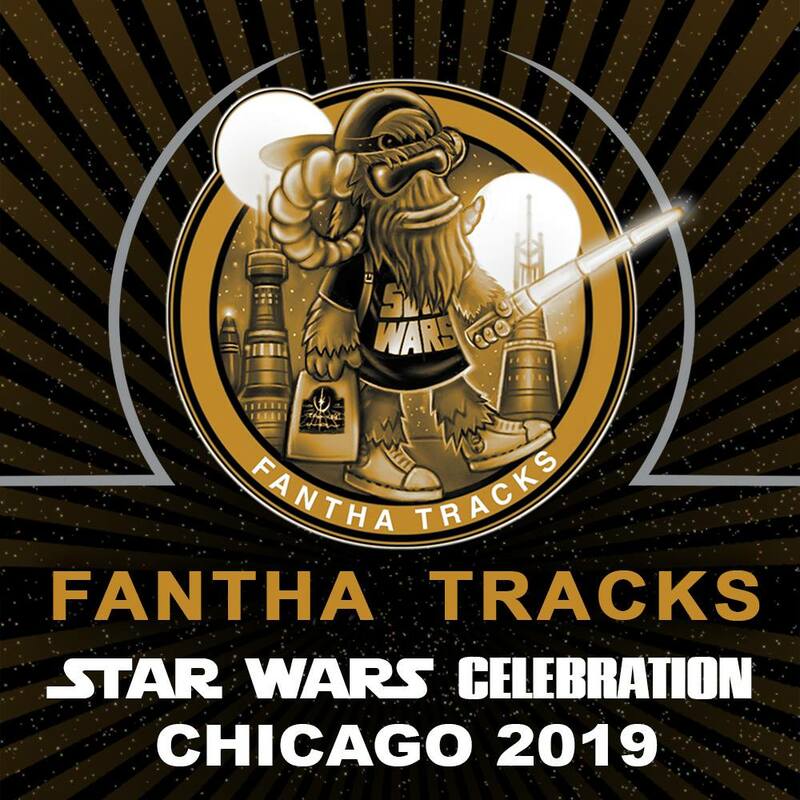 Watch this 360 degree video of the running of the Hoods from Celebration Chicago 2019. Patty Hammond reviews the Sisters of the Force panel from Celebration Chicago. The Saber Battle at The Bean, from Celebration Chicago. 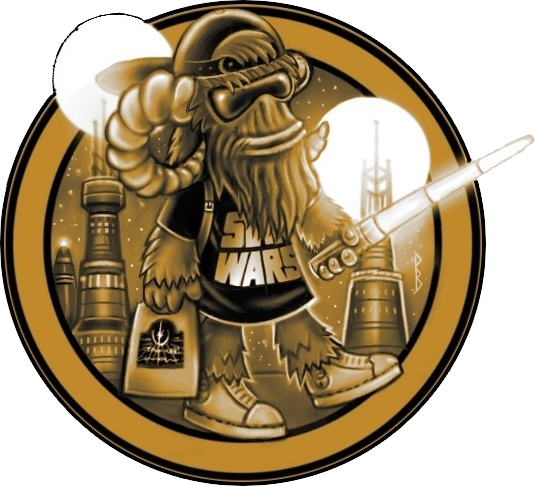 Michael F Davis looks back at Star Wars Celebration Chicago. 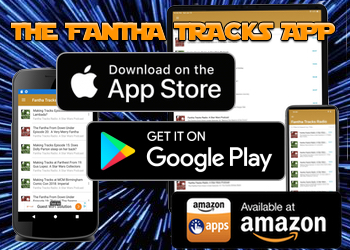 Fantha Tracks TV is back with an award-winning piece of cosplay from Celebration Chicago. Take a look at all of the StarWars.com coverage from Celebration Chicago. Take a look at the details of the newly announced Ultimate Virgin Holidays Star Wars Experience. Paul Naylor looks at the swag handed out at the major Celebration Chicago panels. Did you record your fan story at Celebration Chicago to go into Galaxy's Edge? From the Collecting Track at Celebration Chicago, Dave Tree and The Effect & Influence of the Palitoy Company on Star Wars Toys. 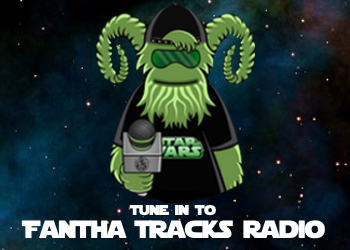 Join Fantha Tracks TV as Paul McQue chats with Mark Von Ohlen from Star Wars Authentics.